Several years ago, on a visit to the magnificent National Museum of Anthropology in Mexico City, I had a little catch-up with our tour guide. We were in the Gulf of Mexico Hall, looking at Olmec artefacts. The most famous works of the Olmecs are gigantic stone heads, some of which weigh 40 tons and are over two and half metres tall. 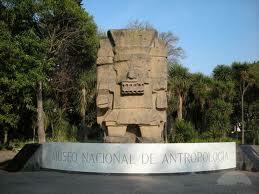 In 1862, the first Olmec head was unearthed in the state of Tabasco. Almost a century later, the American archaeologist Matthew Stirling began excavations in 1942 in the ancient city of La Venta. He discovered even more Olmec heads and found evidence of a civilization much older than the Mayan, Incan or Aztec, dating from about 1200 BC to 400 BC. The tour guide caved in: “Yes, yes the lady is right”. It was the only sensible thing to do. If you look at head number 6 from San Lorenzo, Veracruz, there is no way you could mistake this decidedly human face for a jaguar. But since it’s so obviously African, it had to mutate supernaturally into a non-human form. The Mexican fairy tale of origins apparently could not accommodate an African genesis. 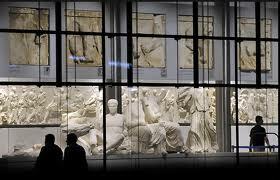 Museums are peculiar places, full of art and politics. Their curators lock up pieces of the past in pretty cages and tell stories about them that are true or false to varying degrees. Many of these objects are stolen goods. But that’s a whole other story. Let’s just say that if the Greeks, for example, were to be properly paid for their cultural artefacts now imprisoned in the museums of their far more affluent neighbours, the proceeds would go a long way to help balance the national budget. Better yet, if the artefacts were liberated and repatriated, the Greeks could make even bigger bucks in heritage tourism. 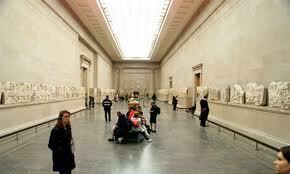 Museums are an essential component of the creative/cultural industries across the globe. In non-Olympic years, one of London’s biggest attractions is the city’s network of museums and art galleries, some of which were funded, ultimately, from the bloody proceeds of plantation slavery. 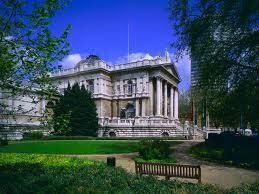 Henry Tate, who made his millions in sugar refining, founded the Tate Gallery in 1897. Tate started off rather modestly as a grocer’s apprentice in Liverpool in 1832 when he was only 13 years old. True, slavery was abolished two years later in the British colonies in the Caribbean. But Liverpool had been a major slaving port and, according to the website of the International Slavery Museum, “its ships and merchants dominated the transatlantic slave trade in the second half of the 18th century. The town and its inhabitants derived great civic and personal wealth from the trade”. On a related note, I ran into Ainsley Henriques, leader of the Jewish community in Jamaica, at the elegant launch of Diana McCaulay’s new novel, Huracan, two Fridays ago. Ainsley and I had a nice chat and he told me that several people had asked if he wasn’t going to respond to my column, published two weeks ago, on “Jews and Plantation Slavery in the Caribbean”. He’d decided not to. Like my Mexican tour guide, Ainsley seems to have conceded the accuracy of my account of the gaps in the story told by the Museum of Jamaican Jewish History. I discovered the Olmec civilisation in a book by the Guyanese linguist and anthropologist, Ivan Van Sertima, published in 1976. 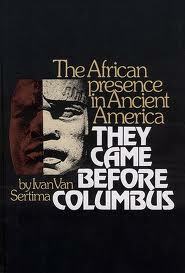 The title makes a startling claim: They Came Before Columbus: The African Presence in Ancient America. 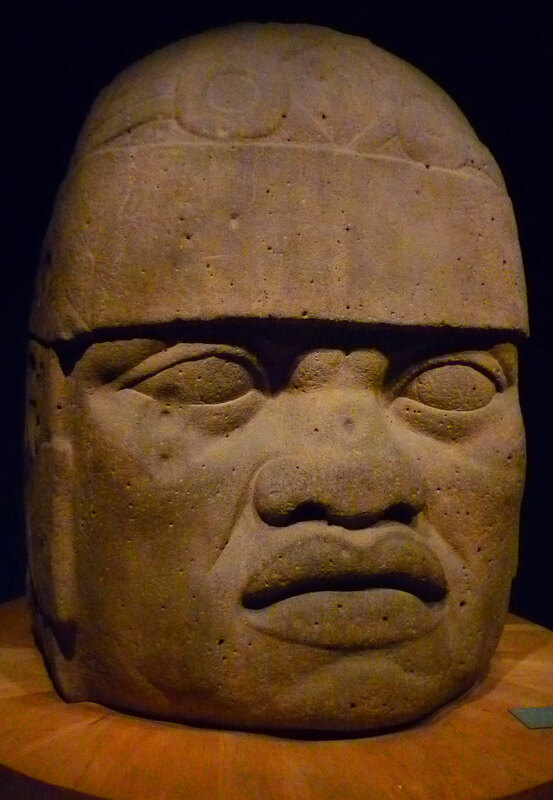 In addition to the spectacular Olmec heads, there was more evidence. 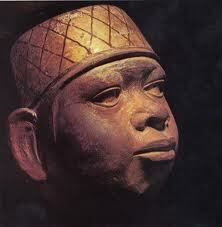 Von Wuthenau, an art historian and archaeologist at the University of the Americas in Mexico City, had unearthed many terracotta sculptures of ‘Negroid’ heads in clay, gold, copper and copal. Van Sertima notes that the layers of soil in which these African sculptures were found “ranged from the earliest American civilizations right through to the Columbian contact period”. Then Leo Wiener, a linguist at Harvard University, had earlier “stumbled upon a body of linguistic phenomena that indicated clearly to him the presence of an African and Arabic influence on some medieval Mexican and South American languages before the European contact period”. 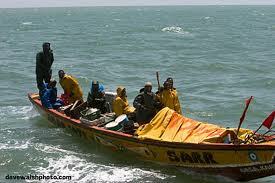 There was also the evidence of the boat-building skills and seafaring knowledge of Africans. Small open boats could, in fact, cross the Atlantic, particularly with the assistance of the fast-flowing Guinea and Canaries currents. And the evidence kept piling up. You just have to read Van Sertima’s book to get the whole story. Closer to home, it makes you wonder who really discovered Discovery Bay and who had to run away from Runaway Bay.